Normally, the words "hydrating glow tint" would have me fawning like a fan girl. And when I saw that NARS was releasing a limited-edition Charlotte Gainsbourg-inspired collection, I knew I had to snap up the tinted moisturiser. 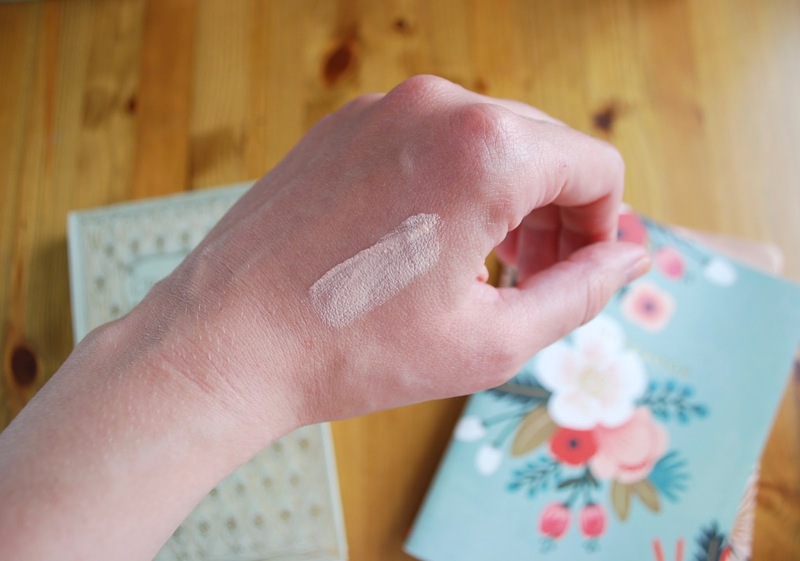 I was hoping it would be a slightly hardier version of the Glossier Perfecting Skin Tint (which I do love, but doesn't have the best lasting power). 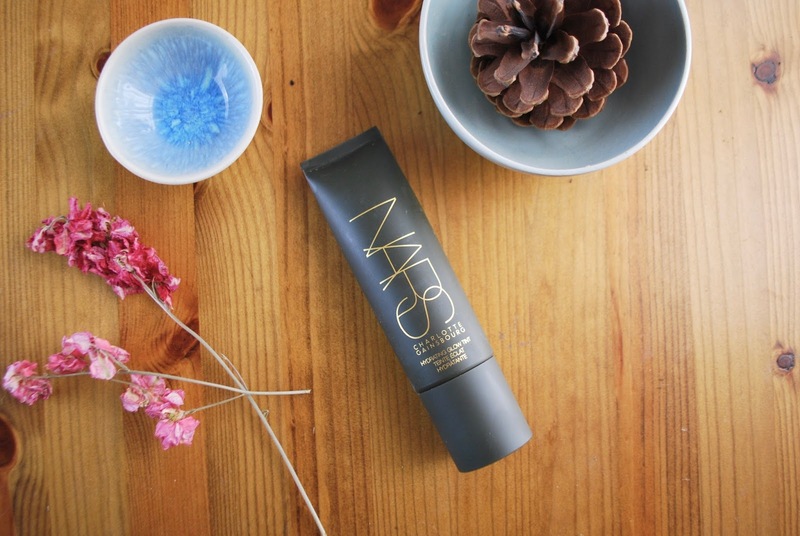 The NARS Hydrating Glow Tint has a really light, mousse-y formula. You can see in the swatch below that it kind of has air pockets in it, just like a mousse would. I bought the shade Fair, which has pink undertones. I have more olive undertones, so that could be one reason this product didn't agree with me. It bills itself as "easy going, fresh-faced perfection...awakens dull skin and evens out tone". Based on this description and on the product's name, I thought this would be the answer to my dehydrated skin woes. Unfortunately this product just didn't work for me. For some reason, it looks super powdery and crumbly on my skin. It didn't look hydrating or glowy...and actually kind of accentuated dry patches and pores so that my skin looked worse after application. This product may work for some people, and that's awesome! But for me, it's a no. If you're interested, I would recommend trying it in-store first to see how it works with your skin. I imagine it would be a lot better for girls and guys with oily skin, especially since it's oil-free.